This very splendid pair of Louis XV style and period side chairs rejoices in abundant carving and elegant lines. The Rococo chairs are now covered in a rich embroidered silk sourced from I. Redelman and Son. The richness of colour, the naturalistic, large scale botanical decoration and the serpentine gimp are all suitable for the period of the chairs. This wouldn't have surprised anyone in 1745. I think it is always advisable to cover chairs in fabric related to their rank and period. Then they are always in fashion. If you cover a chair in this year's colour (Ultra violet, as it so happens for 2018) next year it will be last year's colour! Mozart was not yet born when these were made, and they are still looking absolutely magnificent! 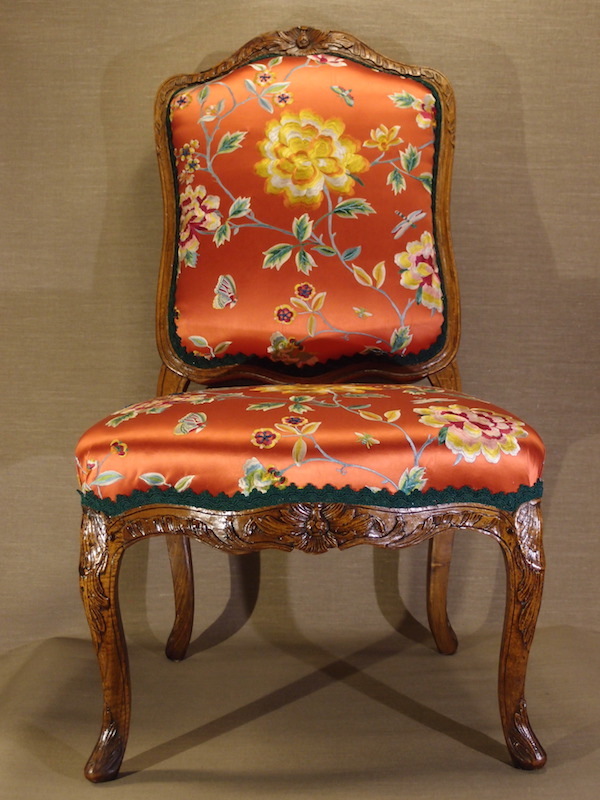 This very splendid pair of Louis XV style and period side chairs rejoices in abundant carving and elegant lines. 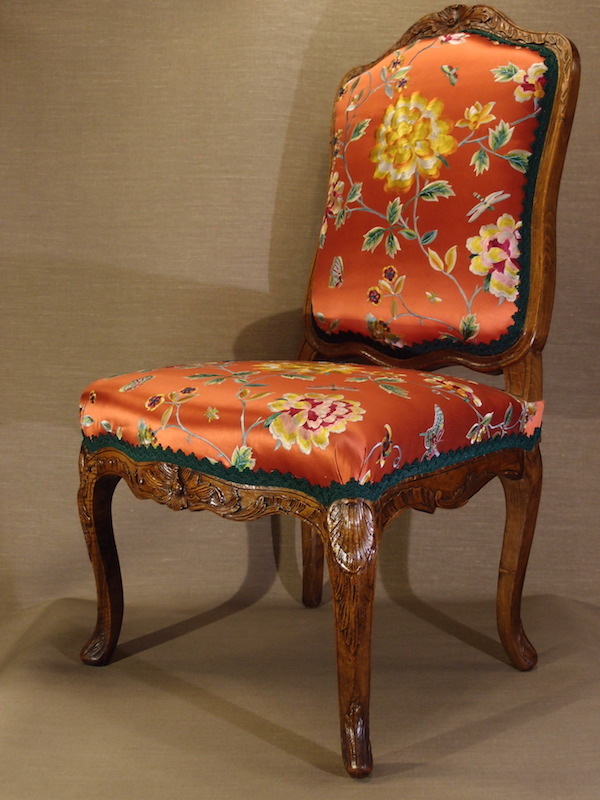 The Rococo chairs are now covered in a rich embroidered silk sourced from I. Redelman and Son. The richness of colour, the naturalistic, large scale botanical decoration and the serpentine gimp are all suitable for the period of the chairs. This wouldn’t have surprised anyone in 1745. I think it is always advisable to cover chairs in fabric related to their rank and period. Then they are always in fashion. If you cover a chair in this year’s colour (Ultra violet, as it so happens for 2018) next year it will be last year’s colour!